Also known as “Middle Stone age”, the Mesolithic period covers a brief time span of about 2,000 years. 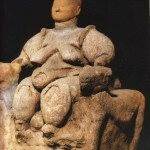 It served as an important bridge between the upper Paleolithic and the Neolithic age, the art of this period had no relevant artistic connotations in the form of representation in comparison with predecessor times. 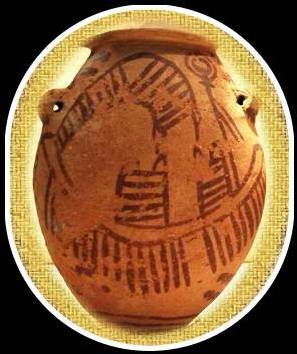 The art of the later Neolithic period varies exponentially, as well as being better preserved and offer us thousands of art examples rather than a “handful” as in the case of the Mesolithic. Let’s briefly cover the artistic Mesolithic events because, after all, it is different from any other time period in the prehistoric man history. Geography and climate had changed and people gradually had adapted, assisted by a more temperate climate and various edible plants were there on hand to aid in survival. Given that human beings do not have to live in caves or follow herds any more, this era saw the beginning of settled and agricultural communities. The invention of the bow and the arrow helped to provide more food from the hunting of animals and the development of ceramics for food storage; It was definitely a step forward. The domestication of animals – for food in the development of a more pastoral lifestyle, or in the case of dogs, for help in the hunt for food was another element of prosperity in their live that allowed better conditions for the settlement. 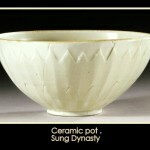 The pottery, although it was largely produced was intended to be utilitarian only to contain water or grain, not necessarily for embellishment or visual pleasure. 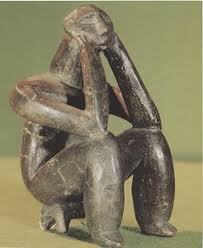 The portable statuary of the Upper Paleolithic was largely absent during the Mesolithic era. This is probably the reason why people settled and did not require an art with small objects or portable with which to travel. The Highlights at this time is the carvings of obsidian and other objects with jagged edges. 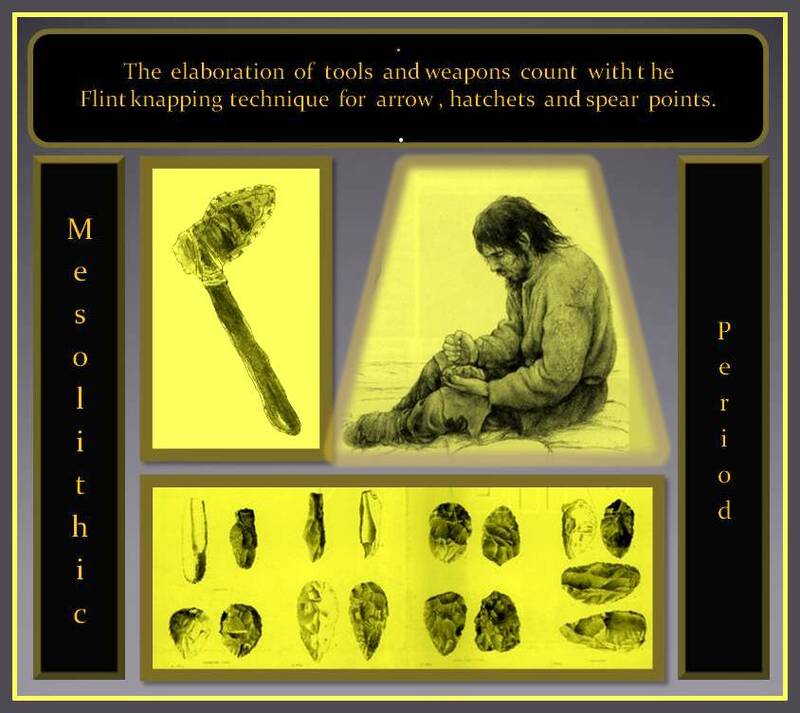 The elaboration of tools and weapons count with the Flint knapping technique for arrow and spear points used in large spear like sticks and also for hand use type, been done profusely. Other tools such as scrapers for cleaning hides and knives were also made from flint. 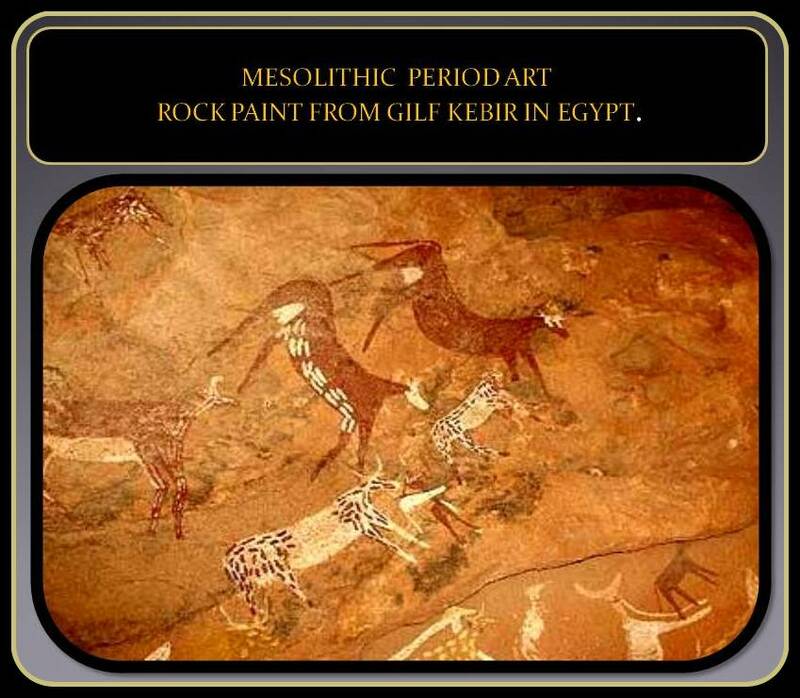 The most interesting Mesolithic art as we know of consists of paintings similar to the cave paintings from the Paleolithic era, these move abroad towards cliffs or “walls” of natural vertical rock , often semi-protected by outcrops or overhangs of natural rocks. 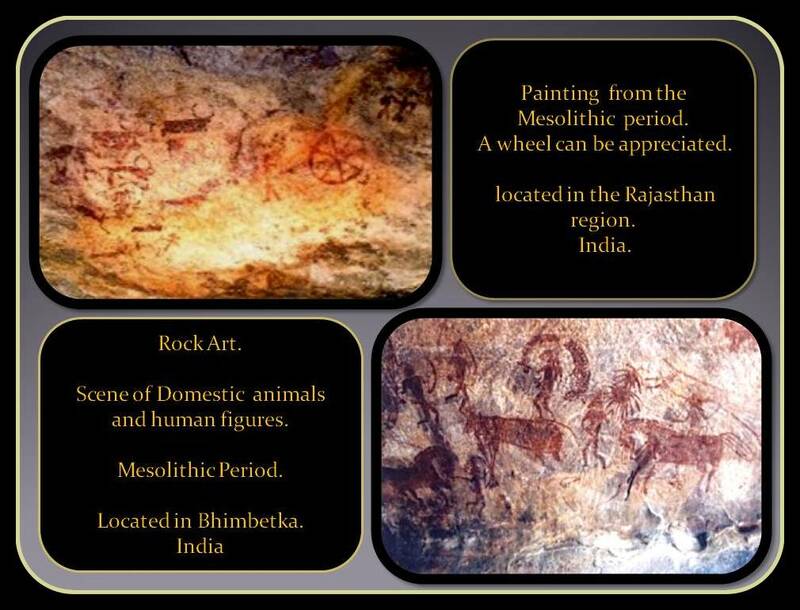 Although these cave paintings have been found in places ranging from the extreme north of Europe to South Africa, as well as in other parts of the world, the largest concentration of them exists in the East of Spain. 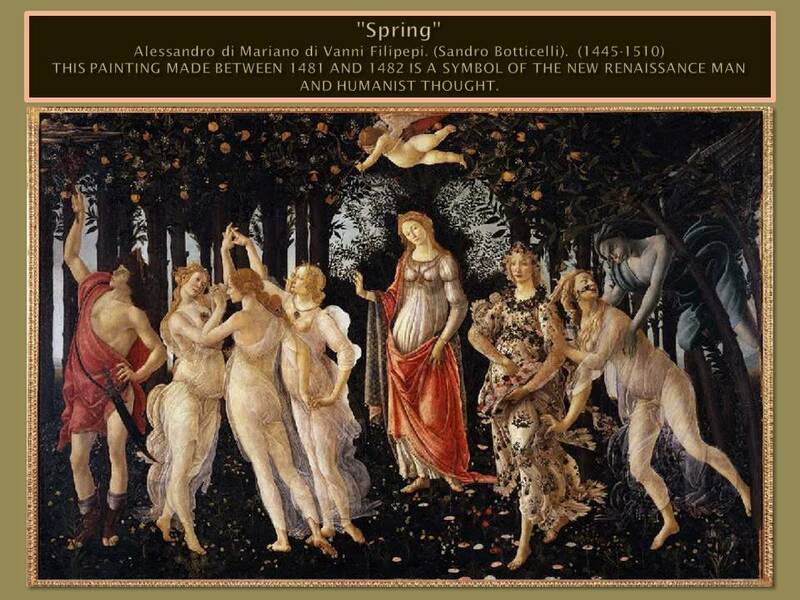 – The paintings of this time change in regards to the topics where there are human groups participating in hunts or rituals. – Human beings shown in the cave painting are highly stylized, as glorified stick figures. These human beings look more like images pictographs, and some historians pose representing the primitive beginnings of writing (e.g. : hieroglyphs). – Very often the groupings of figures are painted in repetitive patterns, resulting in a good sense of rhythm, even if you are not sure of the action in which they are involved. 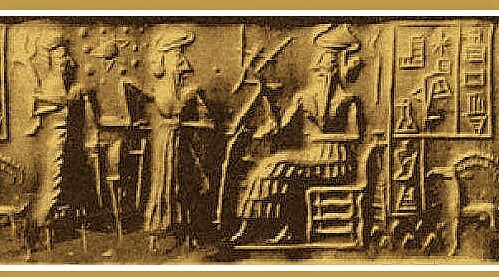 Fundamental contributions of the Babylonians in terms of technique, science, medicine, astronomy and law. 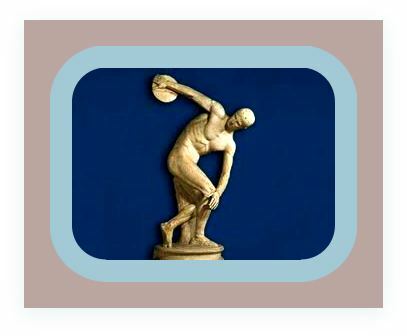 Technology in antiquity:Refers to advances in the development of tools and utensils for practical or decorative use, as well as the ability to use products of good quality for better results and production on a larger scale. – The prevention and contagion of diseases with the application of personal hygiene measures that included frequent ablutions, hand washing, water boiling and elaboration with this one of both medicinal and common use beverages. They detailed on the tablets the symbols and signs that correspond to the different diseases known to them and how to treat them effectively. – Creation and implementation of the first criminal code of laws to govern the behavior of people. – Creation of religious cults that propagated with modified versions towards other cultures in antiquity. – They were able to obtain alloys of metals with which they produced tools, weapons and elements of decorative and utilitarian character like metal sculptures, jewels, metal vessels, shields, swords, bracelets etc. – Advanced knowledge in the use of irrigation for agriculture, recycling of land and crops. 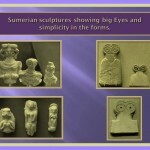 – The use of cuneiform writing on cylinders and slabs of baked clay technique inherited from the Sumerians, has provided valuable information with which it could document aspects of its history, traditions and culture. 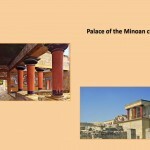 – Amazing technique for the elaboration of vitrified bricks used for the decoration of palaces and temples. – Advanced mathematical and astronomical knowledge about the constellations, distance from the earth to the sun, the solstices and equinoxes, which the earth’s orbit was elliptical, placed the sun as the center of the galaxy, the number of planets in our galaxy among others. – The creation of the wheel in Sumeria and extensive use of it in all Mesopotamia. The Babylonians achieved important results in the treatment of diseases from natural organic compounds such as honey and medicinal plants. The prevention and contagion of diseases with the application of measures of personal hygiene that included frequent ablutions, washing of the hands, boiling of water and elaboration with this one of both medicinal drinks and those with common use. The Babylonian physicians were able to operate their patients fairly effectively and were punished if their patients died as stipulated in their code of laws. In Mesopotamia all as it was in Babylon were introduced over time concepts of disease diagnosis and prognosis of patients’ health status, as well as the study of possible complications, based on previous experiences recorded on their ceramic tablets in cuneiform script. These tablets; that came to form a kind of compilation or book on the subject reflected in detail, descriptions containing symbols and signs that corresponded to the different diseases, known by them and how to treat them effectively. all this knowledge suddenly from the beginning of their civilization. This opens more questions that need to be investigate seriously. 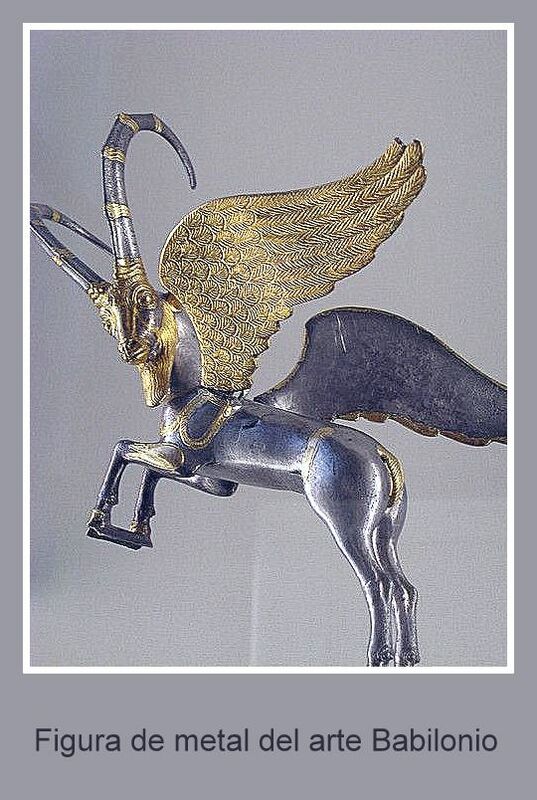 Works with metal in Babylon and Mesopotamia. 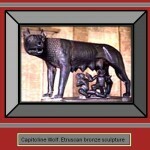 Metal figurine of babylon Art. 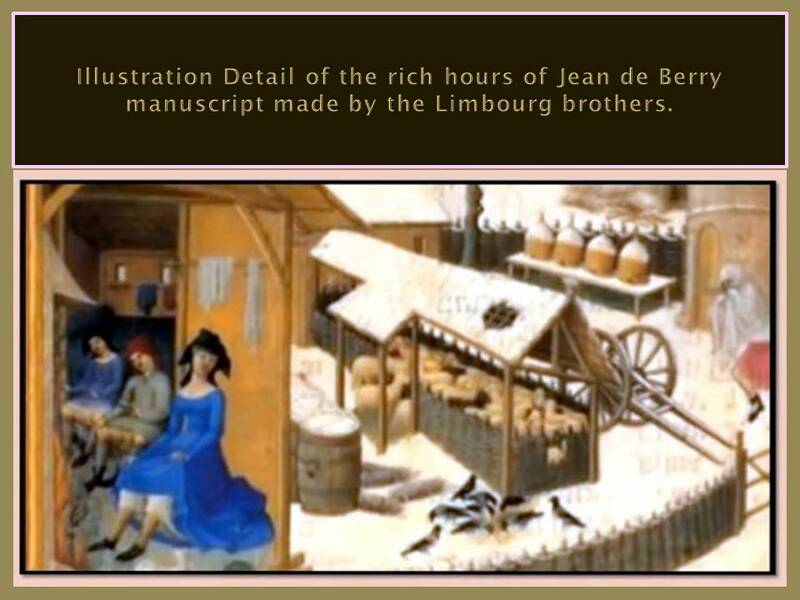 They were able to obtain metal alloys with which they produced tools, weapons as well as decorative and utilitarian elements such as metal sculptures. Techniques like “The granulation”, of fine appearance and great variety, as well as the system consistent of embossing the metal; with exquisite mastery in the results. This objects were widely used in jewelry, decoration of arms, shields to use in war, metallic vases etc. They did not make these objects for their own personal consumption only, but were marketed else where too, having a wide demand for their quality, even in geographically remote areas. Their technique of applying beads of Chalcedony was very popular at that time as well as their beautiful works in the applications of Lapis lazuli Technique. The city of Babylon reaches its maximum splendor with the figure of king Hammurabi, more important of the first dynasty of Babylon, that reigned between the years 1792 and 1750 A.C. He cemented and forged the foundations of the Babylonian Empire. The code of laws of Hammurabi, is the first legislation that is known in history, has an amazing property and is its ability to be understood, its wisdom and understanding of human behavior. 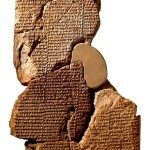 More can be found in the article about Hammurabi and the code of Laws. 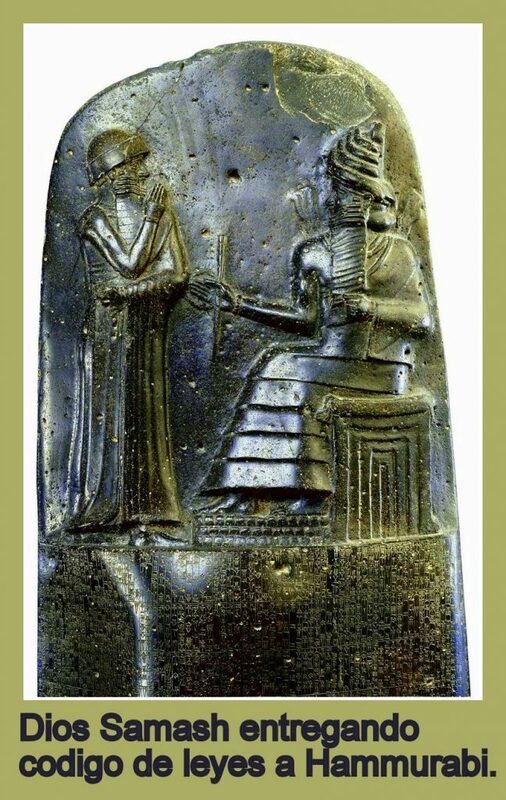 Samash god giving the code of laws to Hammurabi. Relive at the top of the column with laws engraved in the stone column. The glazed bricks of Babylon. Among the techniques developed by the Babylonians is the elaboration of vitrified bricks used for the decoration of palaces and temples. 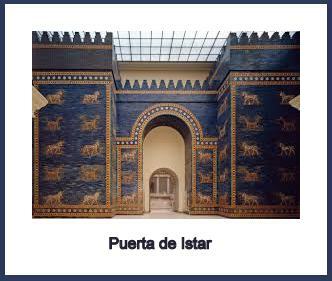 It highlights the decoration of the entrance of the city known as “The Gate of Istar” in which many vitrified bricks colored with intense shades of blue and other colors give us representations of animals that were supposed to protect the entrance to the city . This technique imitated by other cultures has unfortunately disappeared and despite attempts to reproduce it, at present the attempts have been unsuccessful. It is a mystery how they managed to produce these vitrified bricks in substantial quantities. The pigments used from nature’s own materials were diluted in exact, millimeter quantities and reproducing this on a large scale required a knowledge of chemistry and properties of the natural compounds that is truly a mystery how they manages to achieved, or how they obtain that knowledge, that even today has not been able to be reproduced. 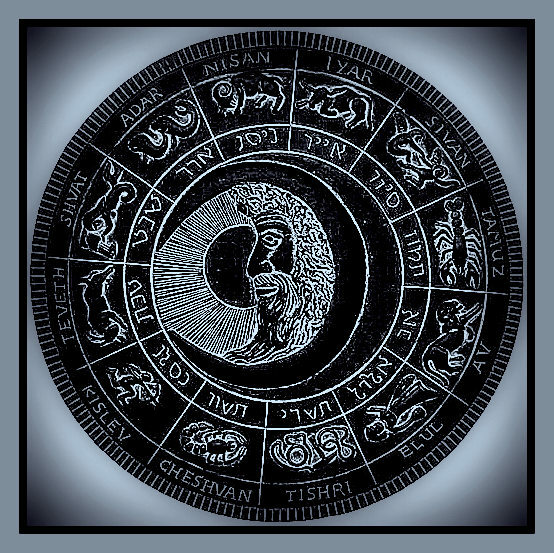 Advanced knowledge of astronomy and creation of astrology in Mesopotamia. One of the great mysteries that this culture presents to us is, how it was possible for them, the Sumerians and the Assyrians to know advanced elements of astronomy as if they could have contemplated the cosmos from an external perspective to the earth and not a simple contemplation of the stars from the surface of the planet and obtaining that knowledge during only the short time that this culture arose, later developed and was extinguished. They knew the number of planets of the solar system.In a relief it is shown a representation of the solar system with the planets revolving around the sun. They have specific mathematical and astronomical knowledge about the constellations, distance from the earth to the sun, the solstices and equinoxes, that the earth’s orbit was elliptical, they knew how to calculate the movements of the sun, moon, stars and planets. They could calculate the occurrence of eclipses of sun and moon. They new about the Precession of the equinoxes and solstices. This information came to be re-discovered by science thousand of years after the flowering of this cultures in Mesopotamia.They placed the sun as the center of the galaxy around which the planets revolved. The invention and utilization of the wheel. The discovery of the wheel in Sumer around 3500 (BC) in the Mesopotamian region was one of the most important technological advances in the history of man. The Babylonians welcomed this invention and developed it even more in the sense of the multiple applications for which they used the wheel. 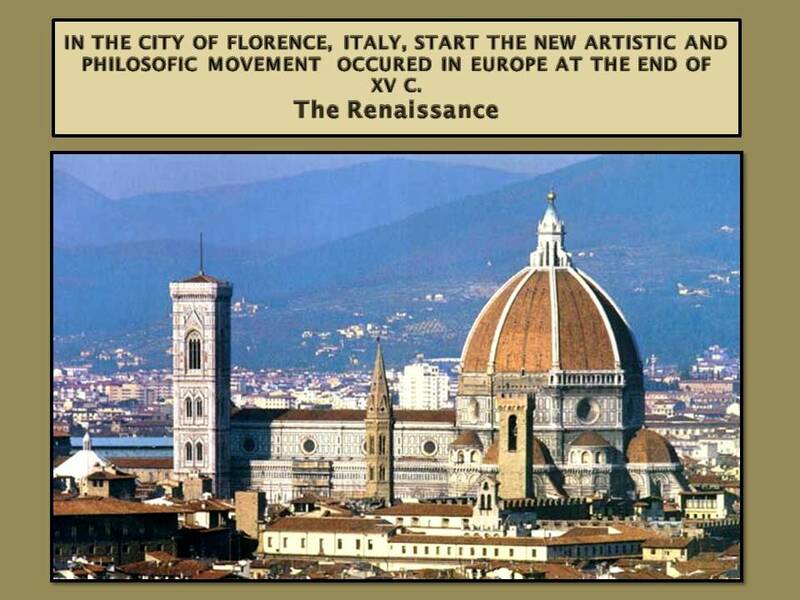 It is almost impossible to realize a mechanism of movement nowadays that does not involve the use of the wheel. They were use in militarist campaigns constructing the war wagons, in agriculture to propel water to the place needed, to move mechanisms for different use. Advanced knowledge on the use of irrigation for agriculture, recycling of land and crops, allowed them not only to settle in these areas that had limitations with conditions not suitable for agriculture, but to prosper in a way that was possible to increase population and sustaining it through the infrastructure they developed, making it one of the most important empires of the time whose technical and scientific advances were assimilated by other cultures as well. Babylonian rituals, worship and temples. Human beings at that time worshiped a deity or heroic figure; and those adoration and rituals were present in Babylon and contributed to create and to foment the cults propagating them by the world. Those cults were based on stories that curiously had points of contact with the stories and cult of other cultures in the rest of the planet. Many of these stories coincide with even bible passages, and histories or the so called mythologies such as Greek and Romans. Buildings and temples were done based on knowledge of mathematical measures and physical principles which nowadays seem normal to know, but the big question is how the Babylonians and Mesopotamian cultures knew it 5000 years ago? 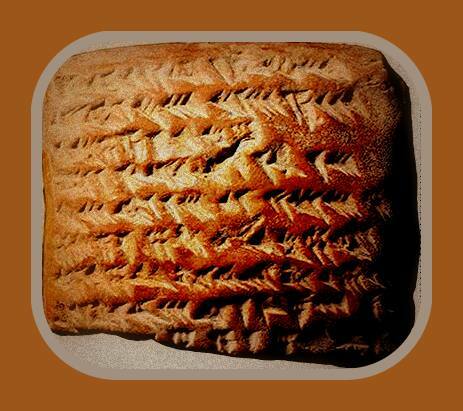 With the translation of the tablets written in cuneiform, progressively new elements are seeing the light, that contribute a little more to know who were the Babylonians and the cultures with which they were related by invasions or simple commercial relations. 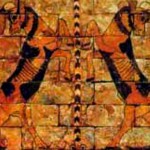 More about Babylonian mythology can be found in an article expanding this information in the blog. 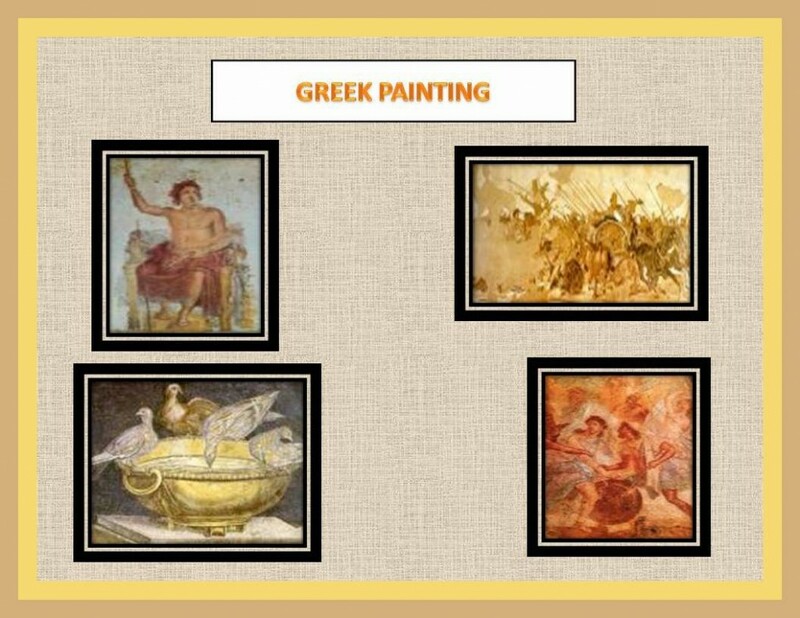 Greek Painting in ancient times. Very little is known of the Greek painters in ancient times, however, it is well know the mastery they could reach and manifested, as is also know the incredible realistic effects they produce by descriptions of some Roman writers annotations about the greek painters and the very few paintings that has survived. 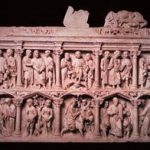 The Roman’s copies of Greek paintings also aport valuable informations, since they greatly appreciate their techniques and styles, coping and reproducing them even; many times the same work in different periods. We can only see, some original Greek paintings features in the painting of their ceramic vases, that still remain in Museums and private collections, which decorations follow the bases characteristics of equilibrium and harmony, away from abrupted lines, carefully representing the sinuosity of the form in sophisticated fashion, like in the way the group the characters, the lines to accentuate the figures against the background, and others details. But unfortunately the richness in the palette used, the tones, the matiz and other aspects, can not be appreciated in their ceramic work due to the limitations of this technique. 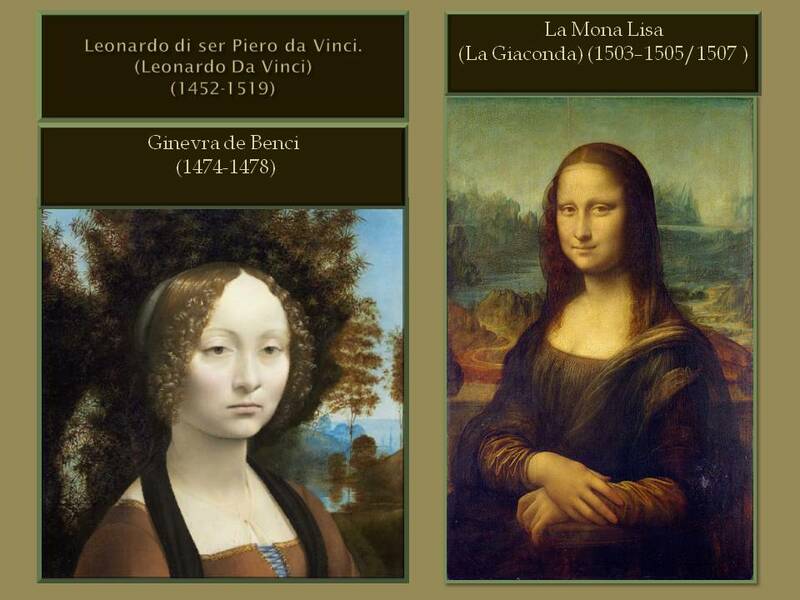 It is know the names of many famous painters in ancient times and references of many of their works, but unfortunately, as we state before, they have not survived either. – Polignoto – Apolodoro of Athens. – Agatarco of Samos. 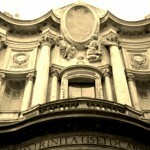 – Zeuxis Parrasio – Apelles. 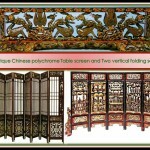 Fresco Painting was a method widely used for decoration of the walls of temples, public buildings, houses and tombs. It should be noted however that this type of mural painting did not have the same level of reputation that panel painting had. Due to the perishable nature of these panels along with centuries of looting and vandalism, not a single Greek Classical panel painting of any quality has survived. 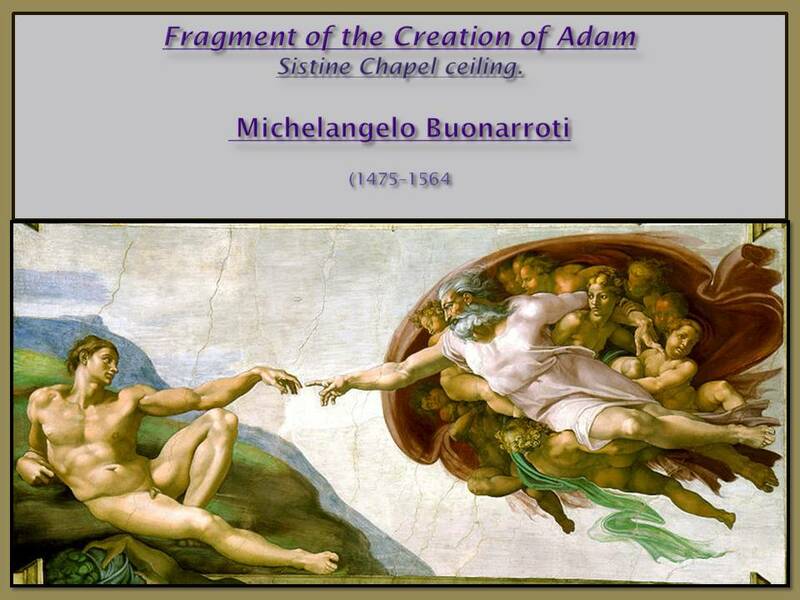 The mural was intended primarily to cover or disguise the imperfection of the walls; whose completion was not very smooth; because of the poor materials used in its lining. 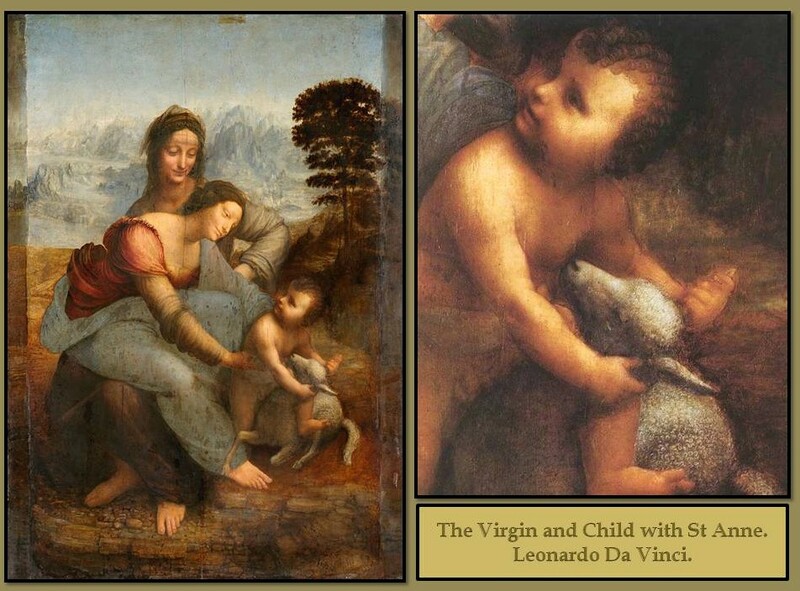 The themes treated in this type of painting were however similar to the one used on panel painting. 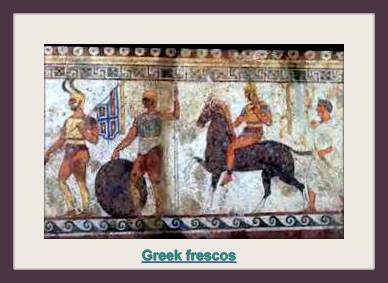 In contrast to other ancient culture that also did fresco’s to decorated the uneven surfaces, the Greeks did not filled all the spaces in them; not leaving absolutely not space free like other cultures usually did. 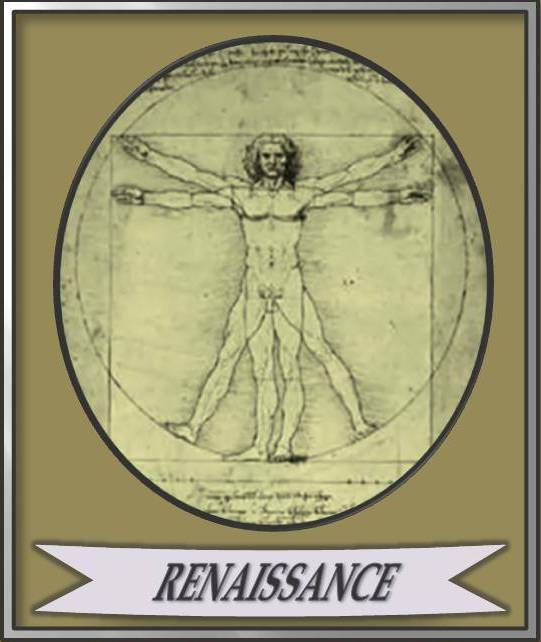 Greek remain loyal to the concept of balances, equilibrium, order and mathematical proportions in the fresco painting as well. 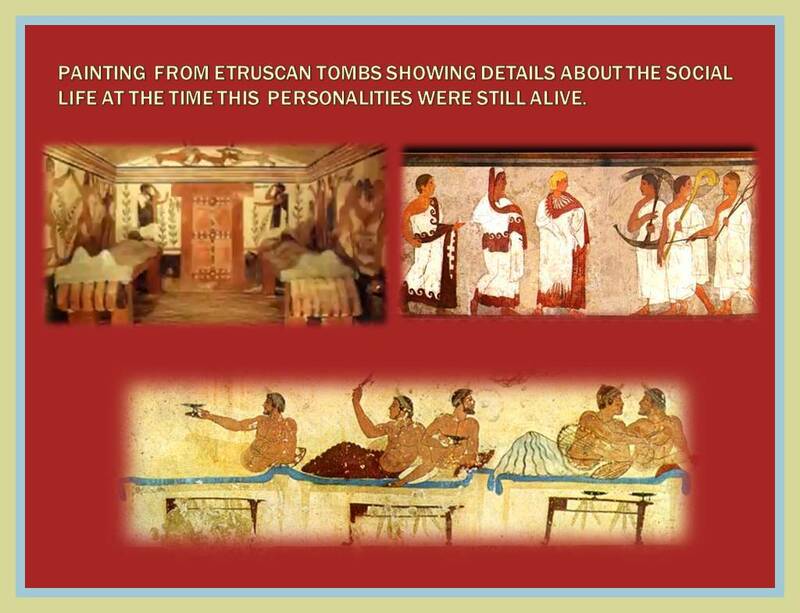 Among the examples of Greek fresco painting are some mural painting in Etruscan tombs discovered like the one shown below corresponding with the Tomb of the diver. 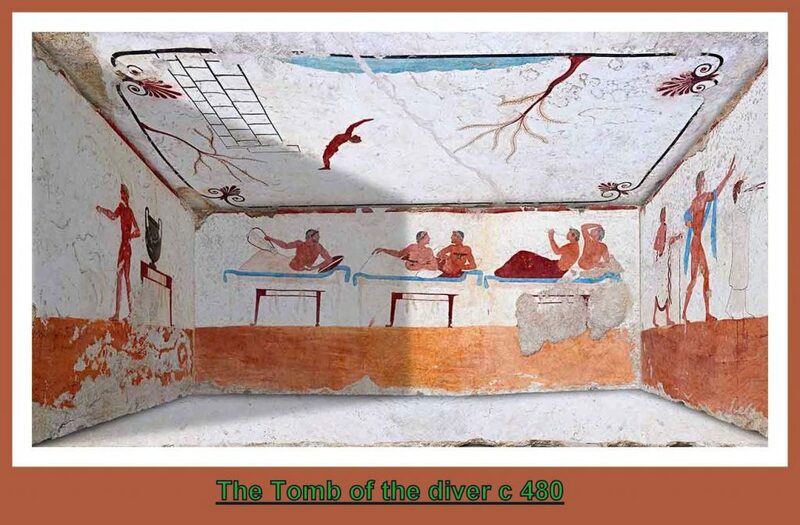 – The Tomb of the Diver at Paestum (c.480), a grave decorations in the Greek colonies in Italy. – The Great Tomb at Verfina (c.326 BC), whose facade was decorated with a large wall painting of a royal lion hunt. 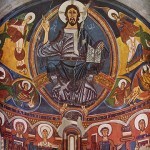 This mural is noted for its subtle depictions of light and shadow as well as the use of a technique called Optical Fusion (the juxtaposition of lines of different colors). Painting on the Greek sculptures. Sculptures also were painted, the stone, terracotta and wood sculpture was another specialist technique mastered by Greek artists. 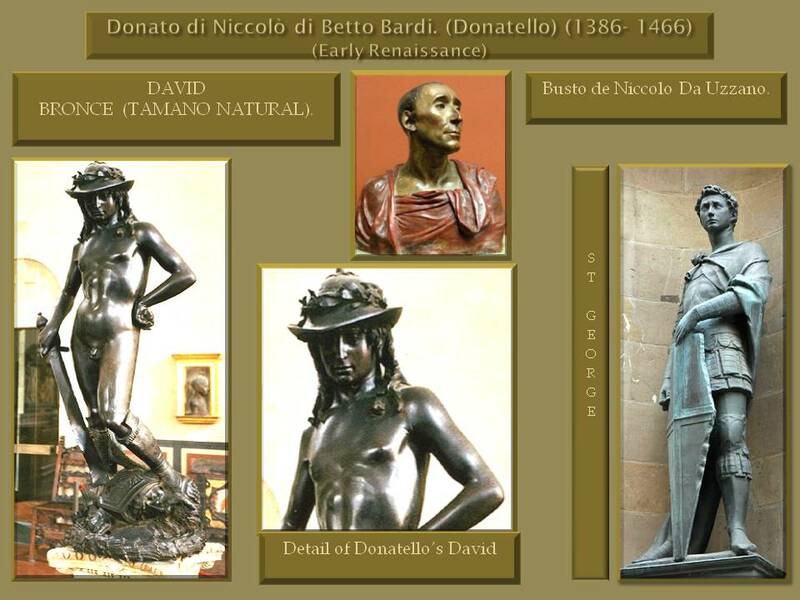 Stone sculptures were typically painted in bold colors; mostly the part corresponding with the representation of the hair and the clothes, however the part corresponding to the skin lacks of painting, were stayed with the natural tone of the stone. 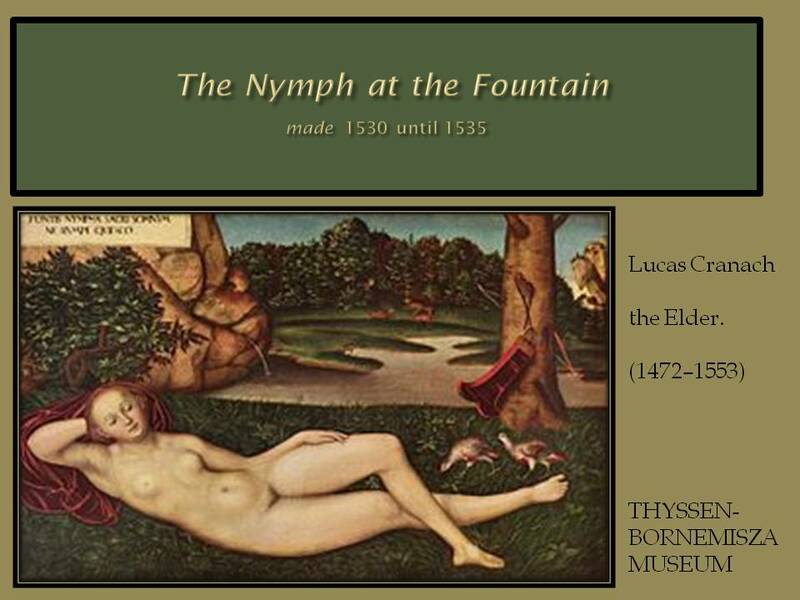 Sculptures were painted but not all its parts, rather only some; to highlight some elements, and that was done with taste and detail, with subtlety, enhancing the beauty and expressiveness of these sculptures in an impressive form. 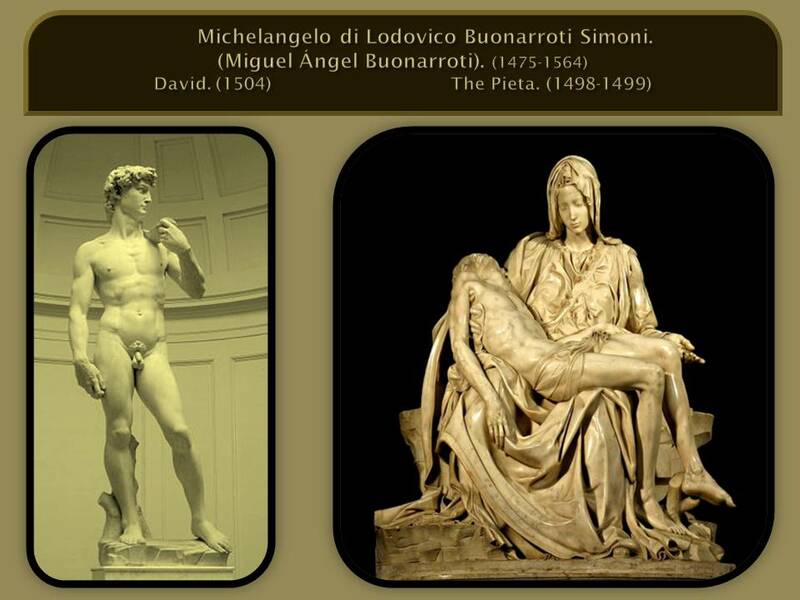 Sometimes all the sculpture was painted in a single color, and they were usually the one related to religious cult. Recreation on how this greek sculptures must have been look like in ancient times. 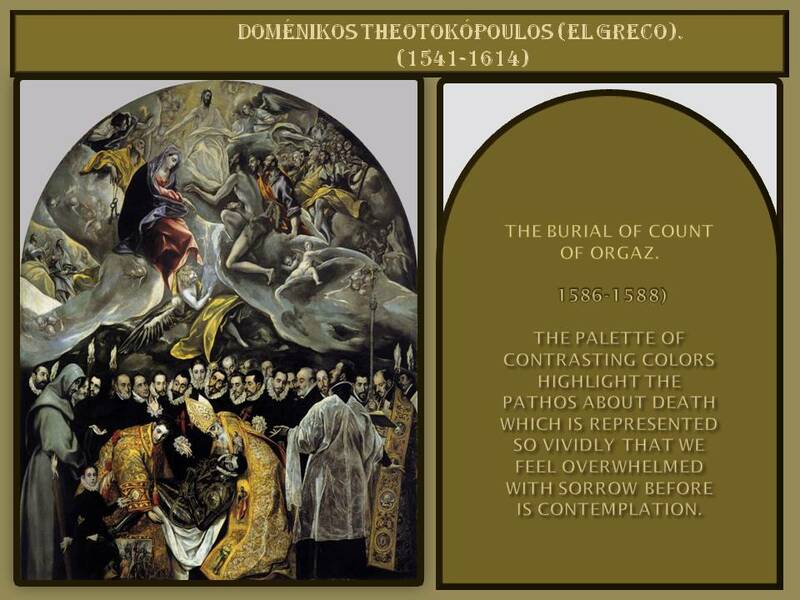 Based on micropigments remains on greek relief and sculptures; have been possible to obtain thanks to modern techniques a representation on how they must have been look like in ancient times. 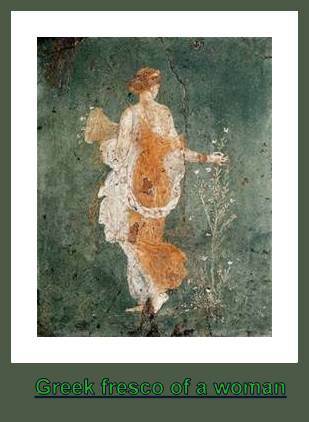 Greek Painting Classical Period (400-323) BC. 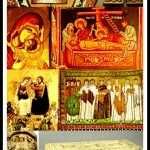 Almost all pictorial forms flourished during the classical period of Greek art, panel painting is highly used in the in-caustic or tempera technique. The topics addressed mainly figurative scenes, portraits, and still life. 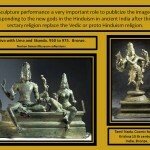 Representations of mythology passages were also portrayed in them. 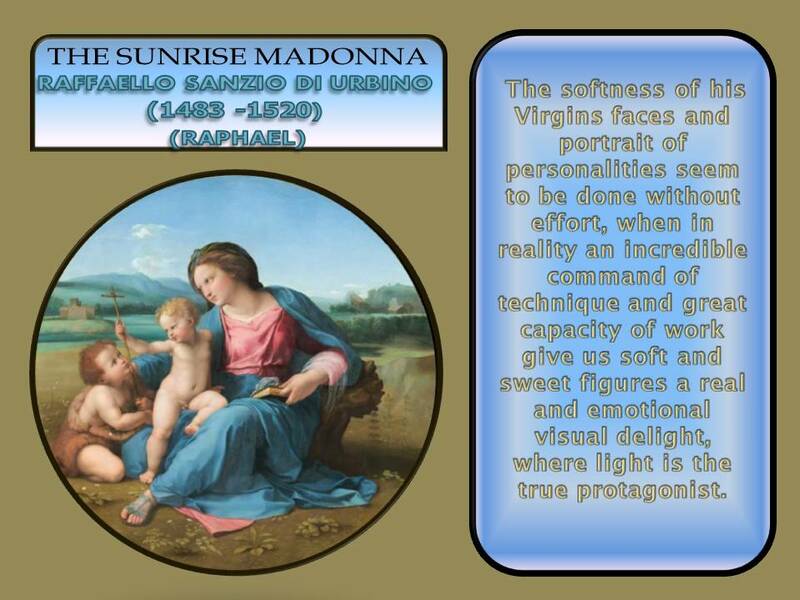 Heroes and heroines are represented with the canons of ideal beauty, balanced proportions and softness of the lines. Their rationality produces calm, balanced, they are away of nervous lines, crack forms or bold and unbalance elements, as well as sudden movements of the lines that can produce an uneasy feeling or uncertainty. 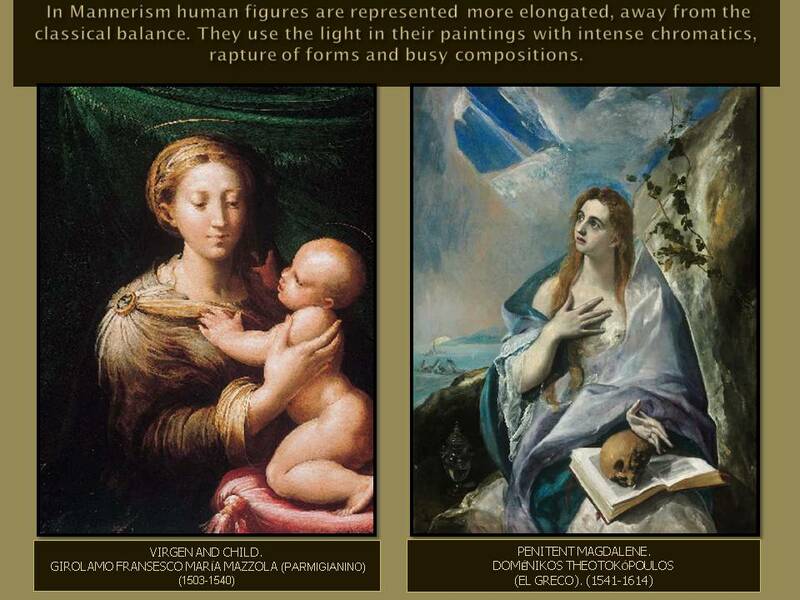 Their artworks; was mainly addressed to achieve the appreciation of beauty by the viewers and give joy to their spirits, they get to represent however; the sinuosity of the outlines of human figures and fine detail in the representation of nature; despite the idealism they convey as a way of represent forms in their ideal depiction, not because they don’t care about reality and the social challenges of living in a civilized society, they did it because in their philosophy of life; in order to represent an art that can be appreciate to the point of elevating the joy of the spirit, reality need to be sifted, filtrated and sweetened, no presented row and crude as human usually perceive reality. During the golden period of Macedonian empire under the mandate of Felipe II of Macedon, father of Alexander the great, the Greek painting had its greater apogee with works of great quality. 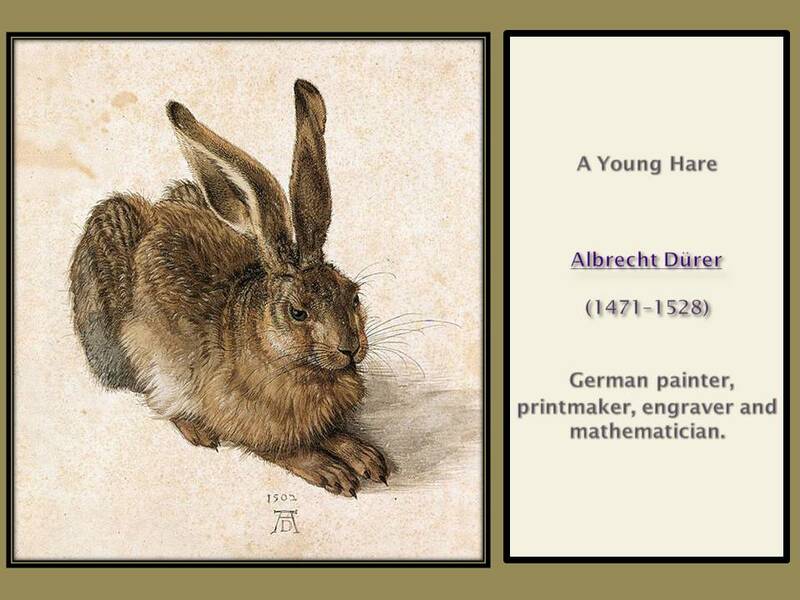 There are pictorial experimentation and new techniques addressed to improve the use of shading, color and light to highlight the figures. Although the scenes were a sweet idealized fantasy of the imagination of the artist; they show great interest representing the detail of the elements of plants and animals in their paintings. The same apply as well to represent human figures as realistic as possible; as they did in other manifestations like sculpture, studying the real human features very carefully they obtained the best result. 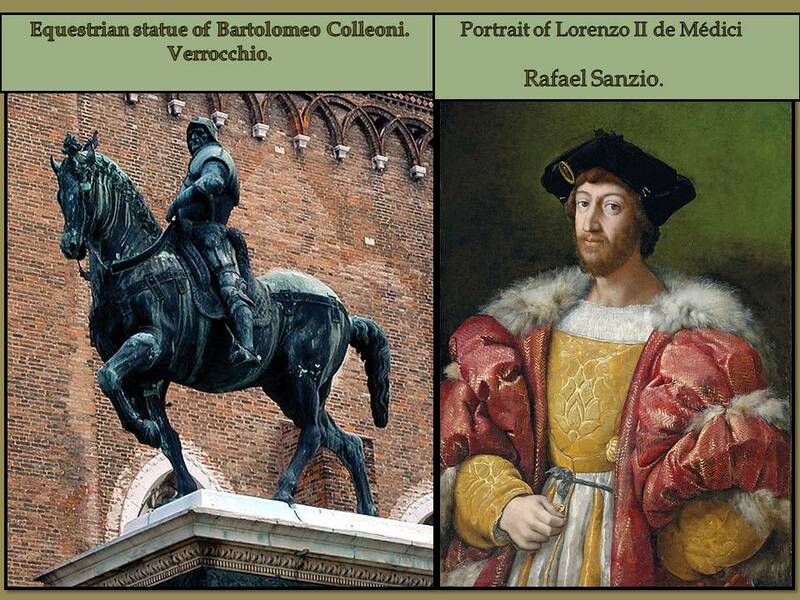 Different schools were created and their geographical location determine in some artistic tendencies of their artworks. 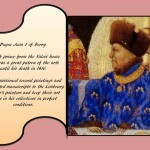 Cartoon and genre painting are treated in this period also with success. During the Hellenistic period begins around the year 323 BC and coinciding with the death of Alexander the great, the Greek art transcends borders and times. 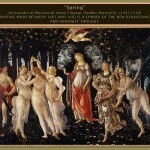 In their constant journey to achieve perfection therefore; the Greek painters introduce in this period in order to reach a better communication with the viewers, certain movements in the lines to insinuate dynamic in the figures and to put emphasis in the emotions, although maintaining equilibrium without impetuous splits in the lines and forms. The light gets an important protagonist play highlighting the main characters in the compositions. 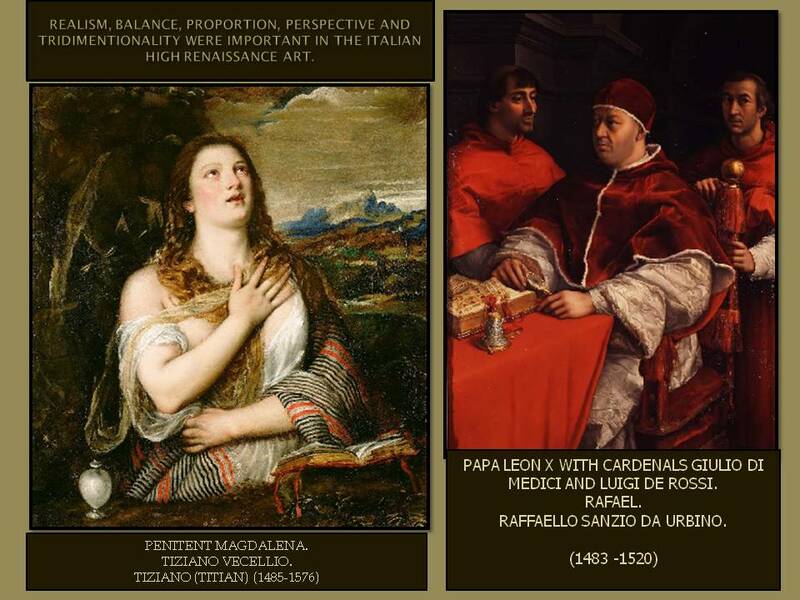 Artist achieve through repetitive intents; from the times of the Classical period, better results riching a better depictions of the location and proportion of the figures in their artworks that suggest a three dimensional scene. 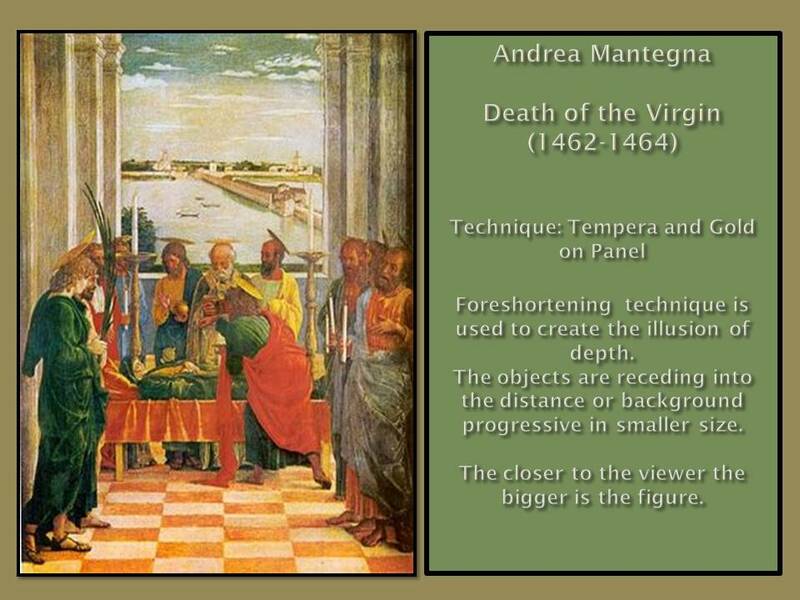 It reveals a grasp of linear perspective (Linear Perspective uses vanishing points and lines of conversions to give a picture space and depth) as well as a naturalist representation which would remain unsurpassed until the Italian High Renaissance. 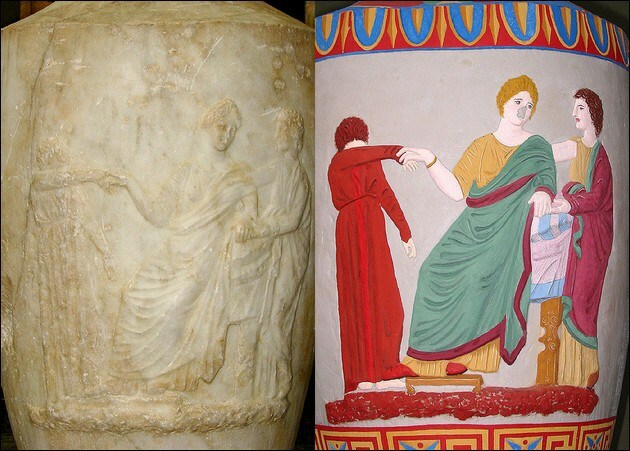 From the 5th century BC we cannot appreciate the evolution of Greek painting taking as an example the ceramic decoration, because there will not be a correlation between them. The mosaics and some frescoes from Roman times, copies of the most famous Greek painters Apelles, “official” painter of Alexander the great, Soso of Pergamum , Teón or Filóxeno of Eritrea), show that their evolution continued to a greater naturalism, achieving in Hellenistic times the domain of the volume. 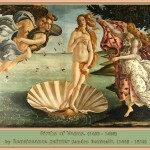 Greek art influence is well received even by the Romans; who appreciate and imitate the Greek art for a long time. 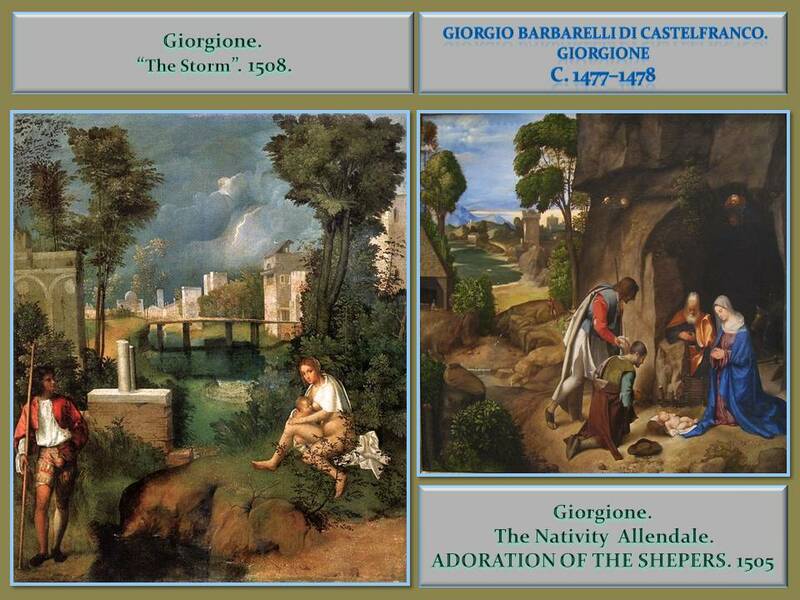 Paintings by artists under the rule of the Roman Empire make many imitations produced to decorate palaces, temples and Roman public buildings; even in their colonies outside of Rome. Roman’s thou reinforced the purpose of political propaganda and religious characteristics, over the simple decoration purpose; for the joy and elevation of the spirit that the Greeks conferred to their art. 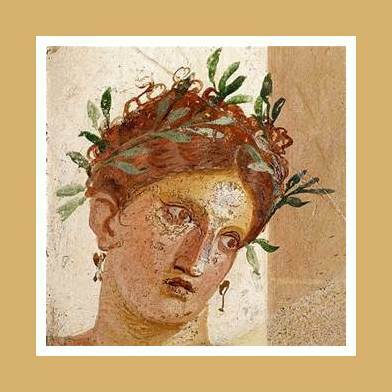 Etruscan have great influence in their frescos and ceramic painting derived from Greek Art.